Fresh air and altitude on a mountain canvas ! 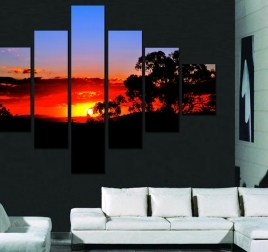 Artwall and Co introduces its collection of nature canvases showing mountain scenes in the whole world to bring a nature and contemporary touch to your wall decoration. 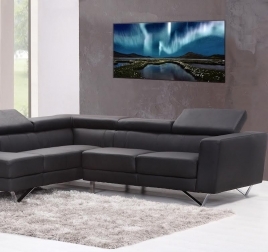 For all you hikers, breath taking landscapes lovers, those mountain canvases will be the perfect design canvas to decorate your bedroom or lounge. 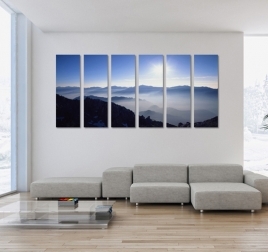 From the mountains of Macchu Picchu to the Himalayas, our mountain design canvases offer you a contemporary choice for your house or apartment. This modern art print depicts a wonderful island under amazing skies. This abstract art print is 210 x 70 cm (82.68 x 27.56 po). Free delivery within 48/72 hours in metropolitan France for this original decoration. 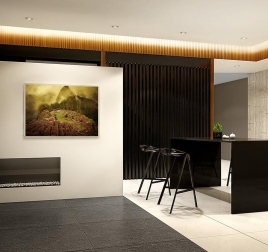 Each wall decoration is treated to withstand UV and moisture. One of the most beautiful light phenomena in a unique landscape picture ! The dimensions of this landscape canvas are 80 cm x 50 cm. For the purchase of this wall decoration, the delivery takes 48/72 h and is free in metropolitan France. Each trendy picture is UV and waterproof. A peaceful sunset is pictured on this decorative canvas with fiery glows and surrounding vegetation in backlight. This landscape canvas is 140 x 100 cm (66.93 x 39.37 po). Free delivery within 48/72 hours in metropolitan France for this nature art print. Each art print is treated to withstand UV and moisture. This modern art print presents a wonderful photograph of Mount Fuji volcano during sunset, with red colors reflecting on the water. This nature canvas is 140 x 100 cm (55.12 x 39.37 po). Free delivery within 48/72 hours in metropolitan France for this landscape art print. Each design art print is treated to withstand UV and moisture. Discover the Incas on this low price deco canvas ! The dimensions of this big wall decoration are 70 X 50 cm. 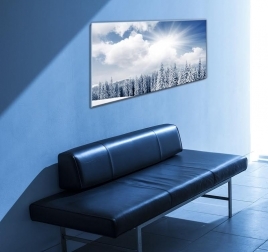 Free delivery in 48/72h in metropolitan France for this Zen canvas. 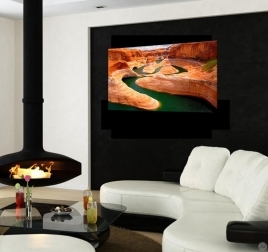 Each modern canvas is waterproof and treated anti-UV. A decorative picture of solitary mountain snow ! The dimensions of this design picture are 80x50cm. 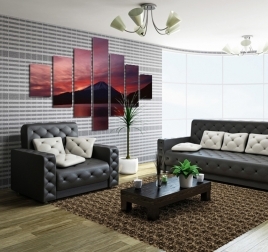 Free 48/72h delivery in metropolitan France for this wall picture. Each trendy decoration is waterproof and treated for UV’s. The American dream on a trendy picture for your home ! The dimensions of this contemporary canvas are 80cm X 50 cm. Free 48/72h delivery in metropolitan France for this design picture. Each deco picture is UV’s and water proof.